Note: Todays workout incorporates one of the heaver Power Clean prescribed weights out gym has used. This weight is designed to test the threshold of our Advanced Athletes, and be source of inspiration for the long term potential of the CrossFit program. Scale the weight as needed in order to ensure technique, safety, and completion of the workout. 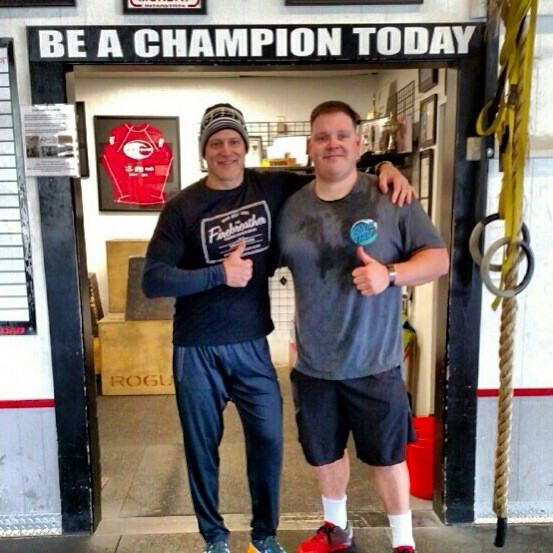 Congratulations to Deputy Sheriff Alex Spencer on being recognized as Athlete Of The Week at CrossFit Amundson. Before achieving his life-long goal of serving Santa Cruz County as a Deputy Sheriff, Alex was (and still is!) one of the most admired and loved Coaches in our gym. With an incredible background in Strength and Conditioning, few people were able to match Alex’s combination of speed, power and “engine”. Even during the Academy and Field Training, Alex remained disciplined about his CrossFit training, and continued to excel in the workouts. Alex’s intention for pushing himself in the gym was to “win where it really counts” and his attitude is contagious with all Public Safety professionals in our gym. One of the most reassuring (or fearful) sights is seeing Alex in uniform! Congratulations Alex on all your success, keep up the awesome work, and be safe out there!